Dravida Munnetra Kazhagam (DMK) MP Kanimozhi took a dig at the AIADMK in the wake of MLA's sting operation and said that her party had already raised the issue earlier but their assertion was downplayed. 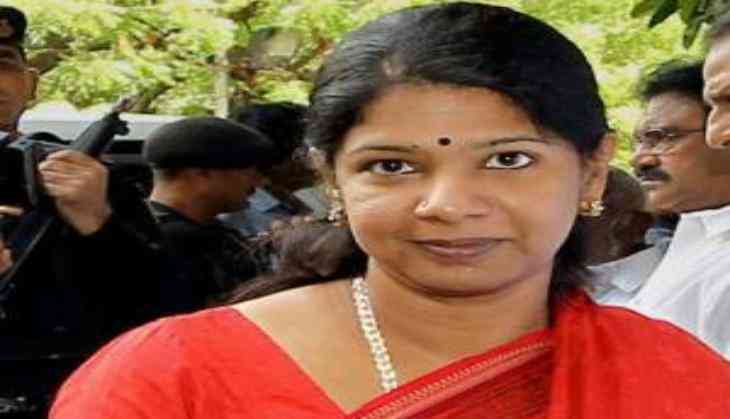 Kanimozhi, who had come to visit party colleague MK Stalin who was detained after a ruckus was created earlier today in the Tamil Nadu Assembly, said that her party has pitched the idea of a secret ballot for the election of the chief minister but nobody paid heed to their advice. "DMK and our working president have already said that what happened that day was not correct and we needed a secret ballot and they did not listen to us and then you know what happened that day and this shows that he was right," said Kanimozhi. Earlier in the day, Stalin and several other party leaders were released after they were detained following a ruckus which was created over the MLAs' sting operation in the Tamil Nadu Assembly session. Stalin and other DMK leaders had taken to the streets to raise slogans against the AIADMK - 'MLAs for Sale' after the policemen took the protesting MLAs out of the assembly by force. A sting operation by an English news channel had revealed that all the AIADMK MLAs were lured in by cash and gold by the rival Sasikala camp to support Chief Minister Edapadi K. Palanisamy in the February trust vote conducted in Tamil Nadu Assembly. Palanisamy won the trust vote held in the state assembly on the back of support offered by 122 AIA DMK legislators. Get to know more of your sedentary lifestyle! READ NEXT >> Get to know more of your sedentary lifestyle!